Rain clouds and thunder clouds have always mattered to roofing and other specialty contractors, but in today’s world the Microsoft Azure cloud can be just as important. One slows things down while the other speeds things up. If you’re a contractor of any kind, then you know that the pressure is on like never before. Pressure to protect margins, to deliver increasingly complex projects and to find and retain competent employees that deliver consistently. Technology continues to play a major role across all of these areas and has become “table stakes” for specialty contractors that want to grow profitably. 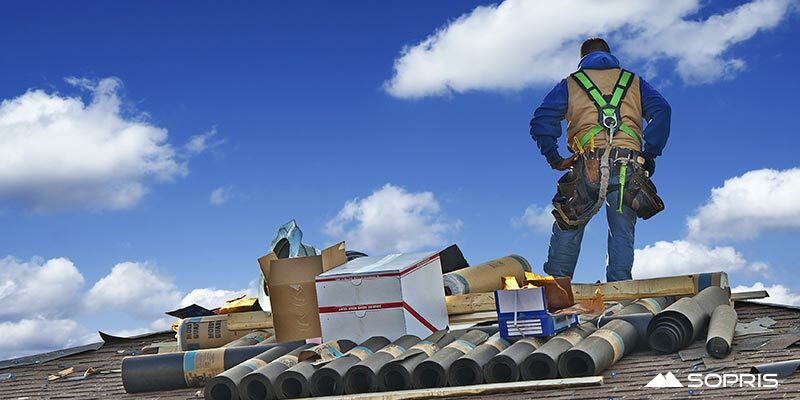 Only roofing contractors or all specialty contractors? There are literally dozens of construction and contractor categories and often, specialty contractors cross over into one or more segments. Simply put, specialty contractors are accountable to deliver a specific job which is most often part of a larger construction project. Roofing contractors are a great example of specialty contractors who often share similar business and technology challenges. Specialty contractors aren’t only responsible for the initial project. They are typically responsible for the long-term maintenance, repair, and upkeep of the completed project. The Specialty Trade Contractors sub-sector comprises establishments whose primary activity is performing specific activities (e.g., pouring concrete, site preparation, plumbing, painting, and electrical work) involved in building construction or other activities that are similar for all types of construction, but that are not responsible for the entire project. The work performed may include new work, additions, alterations, maintenance, and repairs. The production work performed by establishments in this sub-sector is usually subcontracted from establishments of the general contractor type or operative builders, but especially in remodeling and repair construction, work also may be done directly for the owner of the property. Specialty trade contractors usually perform most of their work at the construction site, although they may have shops where they perform prefabrication and other work. Establishments primarily engaged in preparing sites for new construction are also included in this sub-sector. Top Technology Challenges for Specialty Contractors that Microsoft Dynamics 365 can help with. According to ENR, contractors and specialty contractors can expect 2019 to look much the same as 2018 in terms of availability of work, materials prices and the headaches that come with meeting tight schedules in the face of ongoing workforce challenges. 2018 was a high-growth year across the board, so good news for 2019. Specialty contractors preparing for high growth are “getting their technology ducks in a row” to deal with expected challenges, like the following. Granted, this isn’t entirely a technology challenge, but the right talent management solution can help drive a much more efficient recruiting, on-boarding and HR workflow. Dynamics 365 for Talent is a cloud solution that allows specialty contractors to attract and on-board skilled candidates regardless of size. With some claiming that the entire US construction industry is short some 1.5 million workers, this isn’t a place to go it alone. Challenge #2: Keeping formal project communications and other important records safe and available. Another important job that Microsoft solutions do well and cost-effectively. From SharePoint and OneDrive, to full-blown Project Service Automation, Microsoft Dynamics 365 clearly provides the most comprehensive software suite for project-driven businesses. Because these tools are all built in the Azure Cloud, the information is extremely secure and disaster-proof. Records are easily kept on your local computer and synchronized instantly to your own cloud network where they can be accessed from wherever you are, regardless of the device (your phone, your laptop, your PC, etc…). Yes, roofing contractors do check their email while on top of your house. Challenge #3: Finding and implementing software that fits the business. Anyone can go to the Microsoft website and view write-ups, demos and other presentations that explain the value of Microsoft Dynamics 365 for construction companies and specialty contractors. It’s easy and you should. However, a successful selection and ultimate implementation of complex ERP, bid management, customer service or project management solutions requires a proven hand. Microsoft partners like Sopris understand how to adapt these solutions to your business size, processes and growth goals. Understanding the software isn’t enough. Be sure to find a partner that can demonstrate a history of success implementing solutions for companies just like yours. Challenge #4: Reporting across the project portfolio. Reporting can be as big or small of a challenge as you’re willing to make it. Smaller contractors tend to make decisions on the fly, or by looking at simple spreadsheets. Larger contractors deal with larger staffs, many projects running simultaneously and competing vendors. Regulatory compliance, contracts management, services agreements and performance milestones quickly go beyond what can be managed in a collection of manual spreadsheets. Dynamics 365 provides flexible, scalable reporting right out of the box. Tools like PowerBI allow customers to increase reporting value exponentially without breaking the bank. It provides interactive visualizations with self-service business intelligence capabilities, where end users can create reports and dashboards by themselves, without having to depend on information technology staff or database administrators. If you’re looking to learn more, please reach out and an expert from Sopris will help you to get the answers you need. Involved since day one, Sopris was among the first technology partners to deploy Microsoft Dynamics field service and project-centric solutions. Since 2006, we’ve worked exclusively with services companies where we have developed a level of expertise and customer satisfaction that is unmatched.